It's tough finding a lady friend on New Guinea if you're a Bird of Paradise. You have to really put yourself out there. It is thought that Birds of Paradise evolved from a common crow like ancestor many, many years ago and branched off in to the diva-esque flamboyance for which the species has become famous. 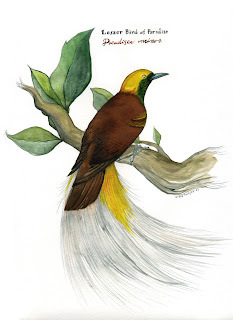 I believe there are roughly 40-ish different species of Bird of Paradise, of which Paradisea minor is one. Each species has it's own elaborate courtship ritual. Anyone familiar with the excellent BBC "Planet Earth" series, is no stranger to some of their more extraordinary performances. Nope, you won't find these flying through Chicago! 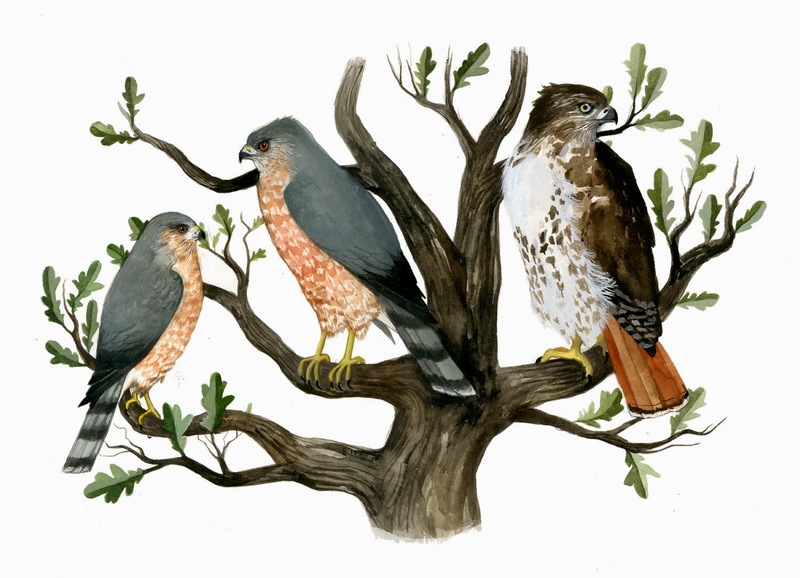 When I was little and rendered some of my first bird "books" (using that very loosely! ), I couldn't help but be astounded by excessive beauty of b.o.ps. They were better than unicorns to my eight year old mind! I love your artwork! These birds are so lovely. I'm happy to have found your website via the article in Venus Zine.